The Ministry of Science and Technology (MoST) will propose solutions to the Government to renovate specialised inspection activities in order to create a favourable environment for the business community while ensuring control over the quality of goods and protecting consumers. 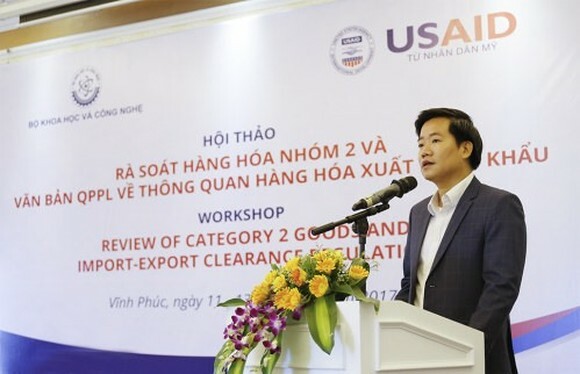 The statement was made by Nguyen Hoang Linh, deputy director of the Directorate for Standards, Metrology and Quality, under the MoST, in a workshop on reviewing category 2 goods and import-export clearance regulations held in the northern province of Vinh Phuc on Wednesday. The workshop is an open forum for direct dialogue between management agencies and enterprises to propose solutions that will create a favourable business environment for exporters and importers. 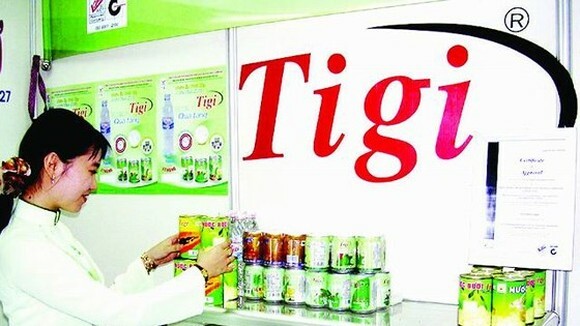 Specifically, these solutions include reducing the ratio of import goods subject to specialised inspections at the clearance stage from 35 per cent to 15 per cent and amending legal documents which overlap or are not compliant with the Law on Product and Goods Quality; Law on Standards and Technical Regulations and Food Safety Law. On August 9, 2017, the Government issued Resolution No. 75/NQ-CP, which assigned the MoST to lead and coordinate with relevant ministries and sectors in reviewing and removing at least 50 per cent of the commodities on the list of group-2 commodities subject to State inspection before customs clearance of 12 ministries before June 2018. Group 2 commodities are products and goods which are possibly unsafe and can affect the health of consumers. However, ministries have said the list of goods in group 2 is too long, and many items are not unsafe. 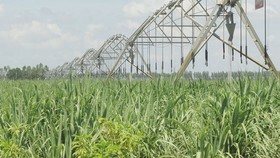 Also in the Resolution, the Government assigned the Ministry of Industry and Trade (MoIT), the Ministry of Transport (MoT), the Ministry of Agriculture and Rural Development (MARD), and the Ministry of Health (MoH) to review and reduce specialised inspection procedures with a view to reducing the ratio of import goods subject to specialised inspections at the clearance stage to 15 per cent from the current ratio of 30-35 per cent. 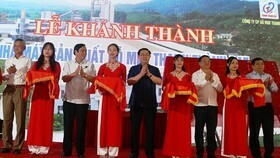 Linh also said in the workshop that ministries have reviewed and planned to shorten the list of group 2 goods, for example, MoIT wanted to remove a group of goods (textile products of all kinds), MoH proposed the removal of 26 products, MARD proposed to exclude 16 products from the list (forestry crops, terrestrial livestock, non-food animals and animal products) and the Ministry of Construction planned to remove 36 products. 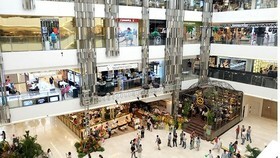 However, the quality inspections of products and goods are still inadequate, Linh added. 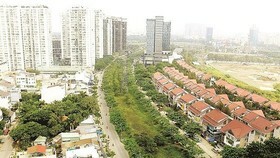 Last month, the Government Office issued a document conveying the direction of Deputy Prime Minister Vương Đình Huệ on enhancing the implementation of reforming specialised inspections of group 2 goods. Currently, the Prime Minister’s working group is concentrating on the field of specialised inspections of imported and exported goods. Recently, the group has inspected the goods at Hải Phòng port, at MoIT and MoH and planned to continue inspections at other ministries such as MARD, Ministry of Information and Communications and MoST on this issue. 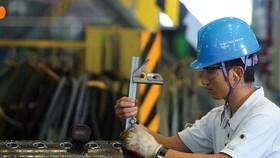 However, as stated in the group’s latest report, specialised inspections still cause difficulties and costs for enterprises, such as overlapping inspections. The list of goods subject to specialised inspection is also too long, and has not been matched with national standards; therefore the detection rate of unsafe goods is only 0.03 per cent. 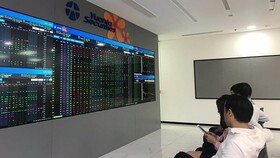 In order to create favourable conditions for importers and exporters, and reduce the time for goods clearance, Linh suggested that in the future, ministries should conduct reviews to avoid implementing various management measures on the same goods. The pre-inspection steps should be shifted to post-inspection, and management measures should be clarified in Việt Nam’s regulations to help enterprises, inspection agencies and customs offices in the implementation process. At the same time, authorities should review and amend legal documents on certification, product and goods quality management in contravention of the Law on Product and Goods Quality, Law on Standards and Technical Regulations and Food Safety Law, Linh added. The event, organised by MoST, in accordance with the US Agency for International Development (USAID), will take place until October 13. 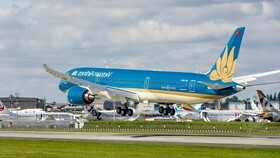 By Vietnamnews.